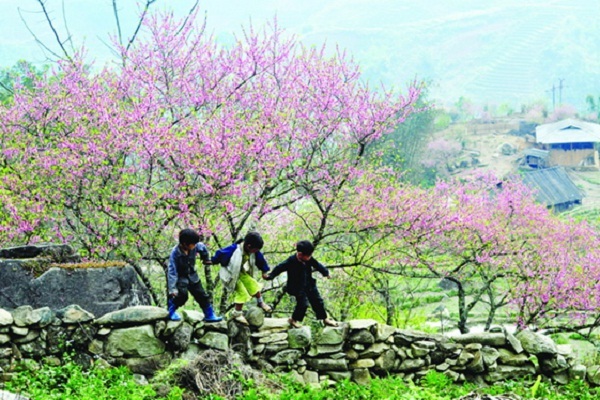 Northwest is a hilly area with difficult terrain but with bewitching beauty to the streets as Khau Pha Pass, O Quy Ho or rice season, the season of flowers in Sa Pa, Mu Cang Chai, Moc Chau. 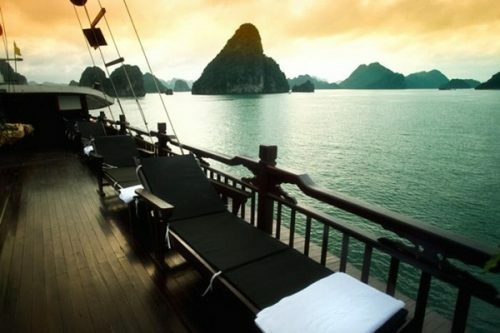 There are many wonderful landscapes to discover in Northwest Vietnam. Yen Bai Province is located in the northwestern region bordering Northeast. 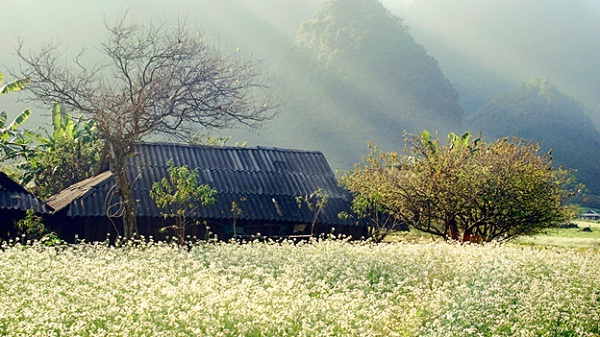 A few years ago Mu Cang Chai district, a destination attracting a lot of visitors on May 9. But gold season has passed the most beautiful moment, the way Mongolia Lim, Lim Thai Cao Pa, Mu Cang Chai district still beautiful bright red color thanks to the poinsettia. Not only in the roadside in Xuan Son National Park, Phu Tho or walkways to the village of Mu Cang Chai district, Yen Bai, poinsettia longer appear in the Ang, Dong Sang, Moc Chau district, Son Leaves. November, tea plantations in Moc Chau green back, stretching like a velvet carpet hugging hills. Best time to visit a tea plantation is on the sunrise or sunset. The downstream, tourists can encounter herds ethnic brought back from a day to eat. 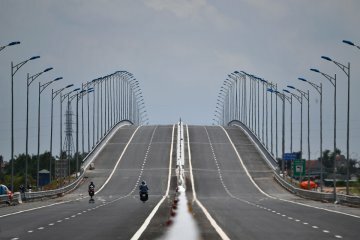 Pa scenic vistas inside Bending – Vietnam’s highest bridge. Bridge Pa located on the territory Uon Chieng. Thanksgiving, adjacent to the town of Phieng Lanh, the capital’s new Quynh Nhai, Son La. 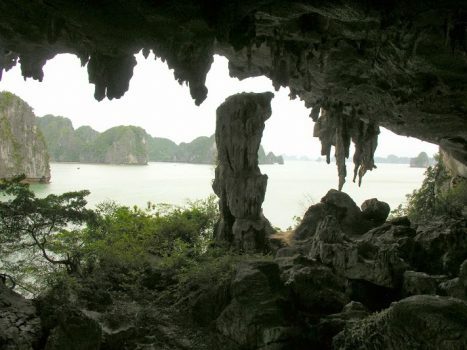 Hoa Binh, next to a picturesque Mai Chau, renowned for community tourism form, visitors also have the opportunity to visit Hoa Binh reservoir by boat. Before the Son La hydropower plant inauguration, Hoa Binh is the largest hydropower plant in Vietnam and Southeast Asia. 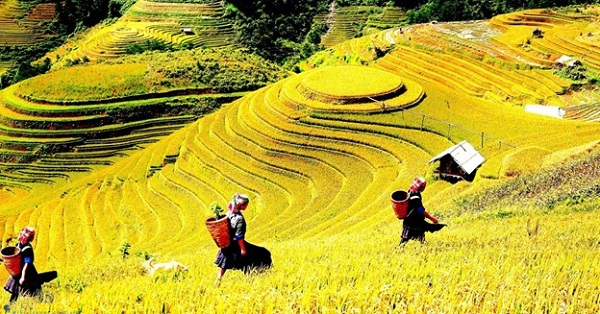 A town in northwest highlands and the famous tourist area of ​​Lao Cai, Sa Pa tourist attraction all four seasons: spring, summer, autumn and winter due to cool weather, spectacular natural scenery. Away from the center of town, rent a motorbike and roamed on the streets, you will have the opportunity to discover many more wild places. 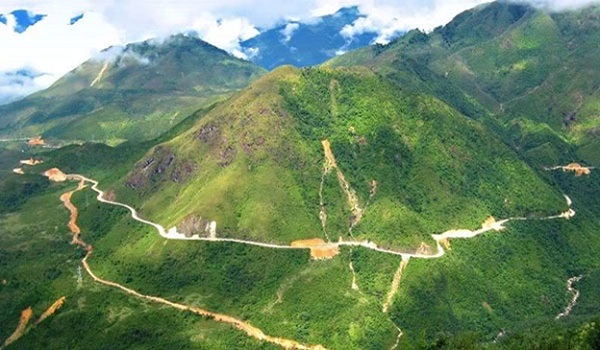 The long downhill roads, dangerous; unspoiled natural scenery; hospitable natives and unique culture is what always attracts tourists journey to discover the Province of the Northwest, Vietnam.